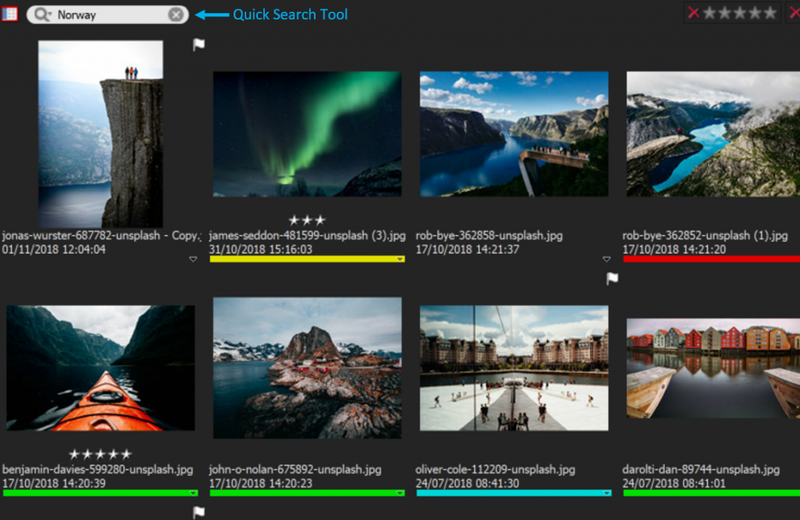 FotoStation helps you find files by searching for metadata. Learn how to make the most of the search function. To be able to search for files, you need to have a method for adding text, so-called metadata, to each file. Without metadata, you are only able to search for file properties such as file name and file date. 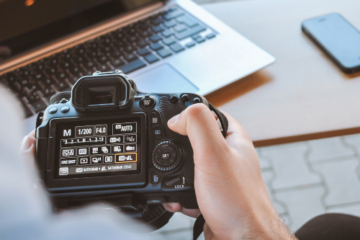 By adding metadata to fields, you make it easier to find images because you can search for any information that you include in the file. 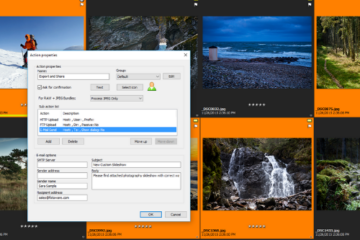 FotoStation has powerful tools that help simplify the process of adding metadata to your files. 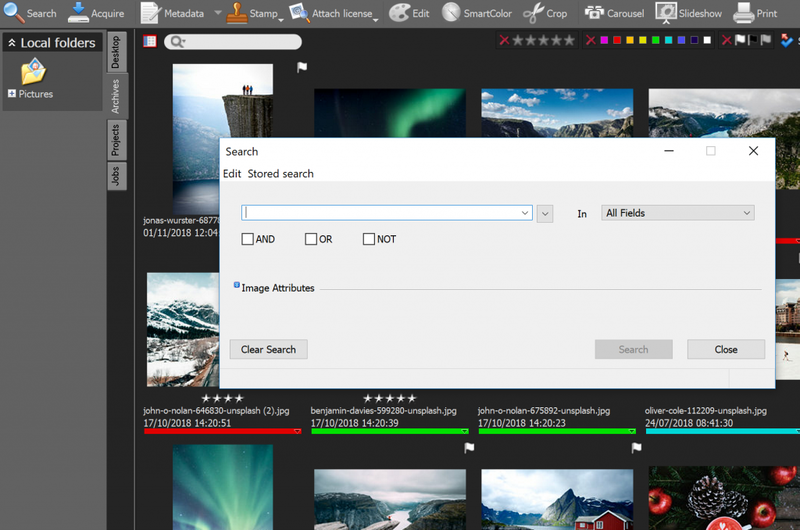 This topic deals with how you can find files that you have captioned. Date Attributes: Select the desired date option from the dropdown list. For most of these options you also need to enter one or two dates into the text field. This can be done by clicking on the dropdown button found on the right-hand side of the field and selecting a date from the calendar that opens. Size Attributes: Select the desired size option from the dropdown list. For most of these options you also need to enter one or two numbers into the text field. Please note the difference between file size and image size. File size is the size the file has when it is stored on the hard disk. The file will normally contain the image together with the meta data. The image size is the size of the uncompressed image when e.g. performing high-resolution editing. Color Attributes: Select the desired color space from the dropdown list. The options are Don’t Care, Grayscale, RGB/Lab, CMYK and Not Grayscale. 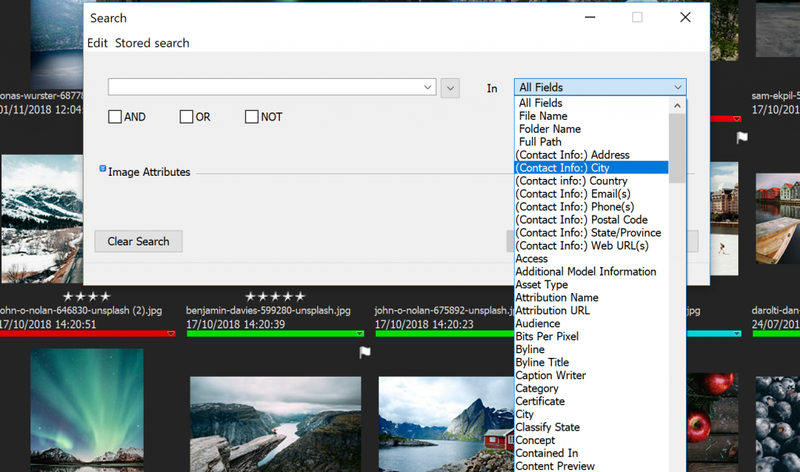 File Type Attribute: Select the file type that you would like to include in the search. Note that the search will be performed on the file extension, which means that if files have the wrong extension, this will affect search result. For example, a PDF file with a .jpg extension, will not be found when searching for “Adobe PDF”. It will, however, be found in an “Image” search. Since some of these choices include more than one file format, we advise you to read the appendix for a complete list of all supported file formats. Orientation Attributes: Select the file’s orientation if you would like to search for files with a specific orientation. Note that this option only applies to image files. If the image doesn’t have an orientation (i.e. 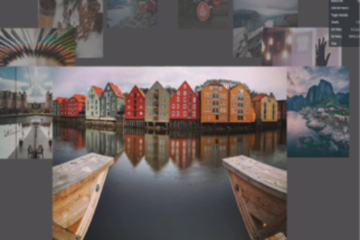 the image is a square where the height is equal to the width), then this image will not be included in the search if you select Portrait or Landscape. History Attributes: FotoStation keeps a log of certain events, i.e. processes that have been applied to images or other files in the archive. Note that the history event in question must be enabled before you can search for it. Also note that FotoStation only logs special events performed from within the program itself. Processes applied in other, external applications are not logged. Up to ten history events are saved for each file. If you would like to view a file’s history log, you can right-click its thumbnail and choose History… from the context menu, or you can click on the History button in the Text Panel. 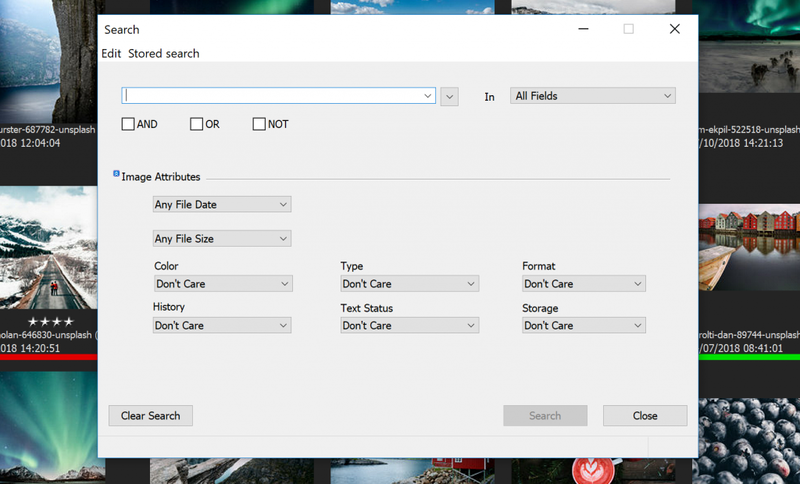 – Don’t Care: All files, independent of amount of text, will be included in the search. – No Text: Only files that don’t have any text (i.e. meta data) inserted, will be included in the search. – None or Very Small Text: Only files with no text or very little text inserted, will be included in the search.